“Follow the Drinking Gourd” was supposedly used by “engineers” in the Underground Railroad to direct slaves to freedom. There are questions about its authenticity, but if accurate, “Drinking Gourd” describes a trail from Mobile, Alabama to Paducah, Kentucky. From Paducah, slaves could cross the Ohio River to the free states. The unnamed hero of “Follow the Drinking Gourd” is an “old man,” sometimes known as Peg Leg Joe, who would “carry you to freedom.” In this case, the drinking gourd is a euphemism for the Big Dipper. Facing the Big Dipper, the viewer would see the North Star. The song is telling the listener to head North to freedom. Pretty vague, but it gets far more detailed as the verses go on. The song further describes the road to freedom. The song says that the trail is marked with Peg Leg Joe’s symbol: A left foot and peg foot carved into the trees along the river, believed to be the Tombigbee. The “dead trees” and “quail call” in the song imply that the trip should take place in the Winter or early Spring. The diminished foliage would make noting the trail marks easier. Once at the headwaters of the Tombigbee, the song describes Woodall Mountain, MS, with the Tennessee River nearby. From there, slaves would cross and follow the Tennessee River North. 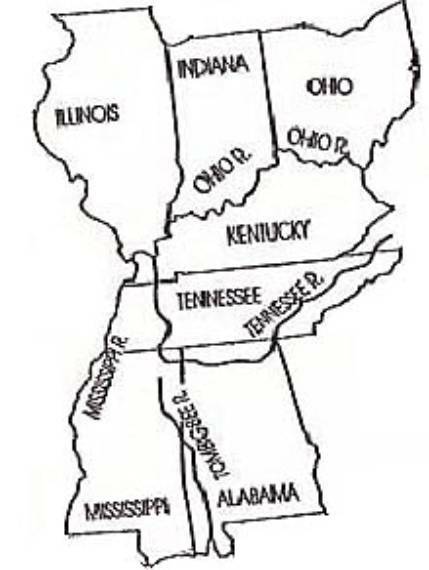 The left foot, peg foot mark on trees would continue to lead them to Paducah and the Ohio. Presumably, the mark would note safe houses along the way. Here is a more detailed analysis of the lyrics. Was Peg Leg Joe a Real Person? The existence of Peg Leg Joe as a real person has never been proven. In fact, the entire song may be a detailed fabrication, since the song has never been collected in Alabama, the alleged setting of the song. Then again, those that know the song would have escaped North. The version that we know today is different from the original, as Almanac Singer and Weaver Lee Hays reworked the song for modern listeners. Regardless of whether “Follow the Drinking Gourd” is fact or fiction, it is still a piece of American history. Not only does it make the Underground Railroad come to life, but it helped show the tribulations of Blacks before the Civil Rights Movement. “Follow the Drinking Gourd” is as much a part of America as “Yankee Doodle,” “John Brown’s Body,” or the hundreds of other folk songs fading from our collective memory. Like my posts? Follow my website or “Like” my facebook fan page and/or follow me on Twitter. You can also purchase my debut novel, Song of Simon, at any online bookstore or a real one (you’ll probably have to order it). Of course, you can always buy an autographed one from me, just send me a message. Song of Simon currently has a 4.7/5.0 rating on Amazon, so people seem to like it. Or check out my latest novel The Watchmage of Old New York. It’s a historical fantasy set in 1855 Manhattan and it’s received all sorts of awards and praise, including a 4 star review/critique from Writer’s Digest.